In today’s plumbing industry, the competition is steep. 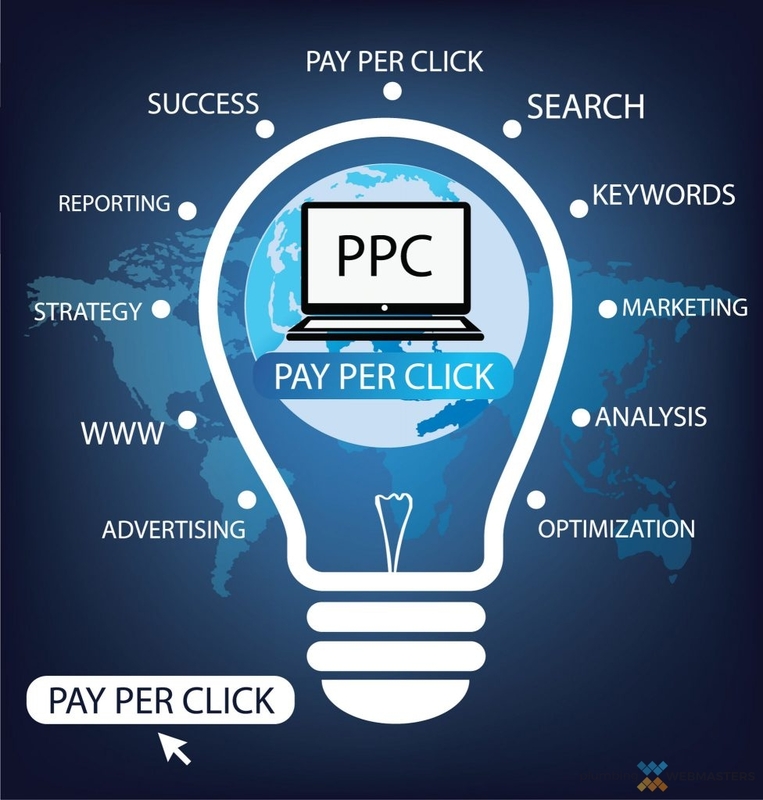 Business owners are always looking for new plumbing marketing and advertising outlets, yet few plumbing companies utilize pay per click advertising. However, plumber PPC advertising can be a very effective and relatively inexpensive method of growing your customer base. These ads can be customized, controlled, and easily evaluated which makes them one of the most productive forms of plumbing marketing offered. However, PPC advertising must be utilized correctly to be effective. Pay Per Click (PPC) advertising is a method of presenting ads to prospective customers in which you only pay when the desired action is taken. These ads are available on platforms like Google, YouTube, Facebook, and other platforms and offer complete customization of content and audience parameters so get your money’s worth every time. The entries presented at the top of each Google search with the word “ad” in front of them are PPC ads. The shown ads have been chosen according to relevance, predetermined demographic and psychographic details, and keyword choice and present clear pathways to related content. Along with being presented at the top of SERPs, plumber PPC ads have a multitude of benefits. Pay Per Click Advertising Utilizes a Combination of Keyword Usage, Quality Ads, and Relevant Placement to Reach More Viewers. Easy Creation: PPC ads are simple to create with step-by-step instructions from each PPC platform. Customizable Audience: When using PPC marketing, you are able to customize your audience by age, income level, interests, location, and more to get your ads in front of the right people. Various Uses: Pay per click advertising can be used at any stage of the marketing funnel, from presenting information to new visitors to displaying new details to previous visitors. Integratable: PPC plumbing ads can be easily integrated into other marketing efforts and channels for a comprehensive marketing plan. Website Traffic Boost: Plumbing PPC ads present direct links back to your site for more valuable website visitors. Quick Results: While a website could take up to a year to completely index, your plumbing pay per click ads begin immediately for fast results and visible ROI. Budget Flexibility: PPC ads use budget criteria that can be set by flat or adjustable rates for complete control over your budget. 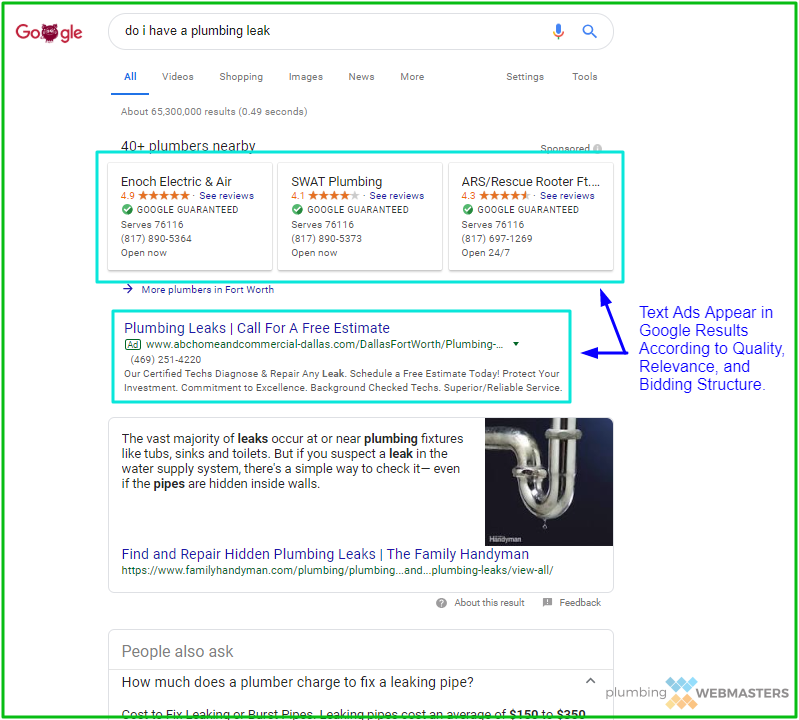 Easily Measured: Plumber PPC ads offer easily evaluated results that can be accessed through clear, accurate reports and real-time data. The most notable quality of PPC marketing is the ability to bid on the keywords you want your company to rank on searches for. These keywords are the same term used in SEO marketing, however, they are used as a basis for determining which PPC ads will appear for each search. Keyword bidding is decided by the popularity of the keyword itself. ‘Roofing’, for example, will hold a much more expensive bidding price than more specialized keywords like ‘metal roof repair’. Balancing your keyword bids with the quality of your site will give you the best chance for beating your competition in ad ranking. Use Proper Keyword Research to Get Optimal Plumbing PPC Results. As the first platform to offer PPC advertising, Google delivers incredible benefits for plumbing PPC efforts. 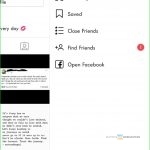 This platform has multiple ad styles and types that can be viewed on the search network as SERP options or that can be shown as display ads on image and YouTube searches. Each ad choice offers its own advantages including audience targeting, content creation, and budget control so you get unbeatable value for your marketing dollars. Both display and search ads provide higher response figures than any other plumbing marketing method. Plumbers can use Google display ads to provide rich media content to a high performing customer base. These ads are displayed on networks like YouTube, Gmail, and as banner and drop-in ads on other sites to reach the exact customer base you have predetermined. Display ads by Google can be presented to viewers by demographic information or psychographic details like interests, previously viewed content, and even lifestyle to ensure that your ad gets in front of the right people. Business owners are also able to easily control ad spend with display ads by using Google budgeting tools that allow budgets based on keywords, performance goals, and even conversions. Google Display Ads Appear on Platforms Like YouTube, Gmail, and Image Searches. Search ads are the most widely used type of PPC advertising available and offer customizable advertising on Google search pages. These ads appear at the top of Google searches and can be equipped with phone and contact links, additional information, and more. Since search ads are ranked according to keyword relativity along with ad quality, keyword research and content development are key to these ads’ success. Ensure your ad is equipped with a catchy headline, intriguing text, and a call to action for best results. Search Ads Appear in Google Searches and are Labeled as Ads or Sponsored. Google ad placement is based on multiple factors to ensure that the Google network always presents its users with helpful, relevant content. In order for your Google ad to be shown, it must meet specific qualifications put forth by Google as well as having the correct keyword selections and bid settings. If even one of these factors is lacking, your ad may fail to be seen or could even be shown to an incorrect audience. Therefore, proper ad setup and placement setting are crucial. 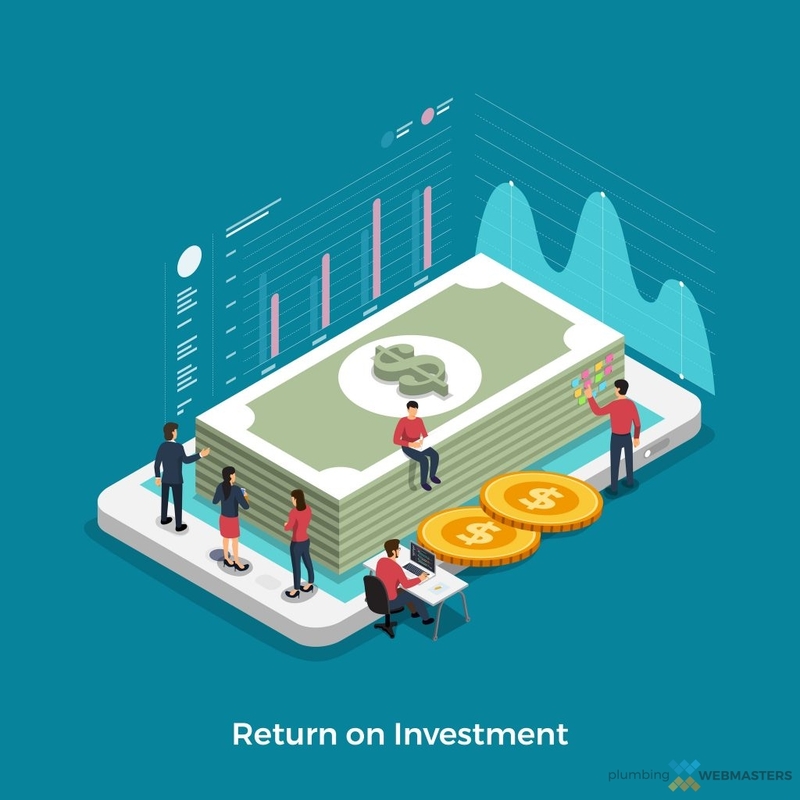 While Google ads are typically a lucrative advertising method, they must be created and displayed correctly to be effective. When you’re developing your Google plumbing ad campaign, consider these influential factors. Bid Amount: This is the max amount you want to pay per bid. Adjust this amount according to keyword cost vs. searchability rankings. Expected Click-Through Rate: This metric is how often Google expects your ad to be clicked. Landing Page Quality: Google inspects the landing page connected to your Google ad to ensure information quality and usability for the viewer. Ad Relevance: Your ad will be shown to viewers based on how relevant the content is to the search topic. Ad Formats: Ads viewability is also based on the ad format itself and whether it includes extensions and additional helpful information. Ad Quality: Google rates your ad according to quality, from 1-10. Higher quality ads with well-organized bidding structures are likely to be shown first. The first step to creating a compelling ad is to decide what you want the ad to accomplish. Do you want your ad to drive traffic to your website? Are you more interested in promoting a particular promotional offer? Your goal will drive the style, keyword selection, and content creation of your ad by guiding the communication style, ad placement, and even the landing page. Ensure you have a clear goal defined before beginning your ad creation for the best results and most ROI. Your PPC Marketing Should Persuade Your Viewer to Complete a Preset Goal. As a business owner, you know that it doesn’t matter how many times a prospective customer sees your ad if they don’t complete the goal. But how do you create compelling Google ads that will be seen? The two most important factors of a well-performing Google ad are a compelling headline and an effective landing page. The landing page is the page on your website that the viewer is directed to through your Google ad. Each ad can have a separate landing page or can each direct back to a single page or promotional offer. No matter which route you choose, the landing page must be interesting and easy to navigate. It should offer relevant and useful information that is original and fresh. However, the landing page is irrelevant without a good Google ad, and a good Google ad begins with an intriguing headline. The headline of your ad can be up to 30 characters and should be clear and precise. A primary keyword should be included along with a secondary keyword, if possible. Whether you are creating a display or a text ad, your content should be compelling and interesting, with a clear call to action leading your viewer to complete a goal. It should highlight unique or specific services that your company provides along with including both primary and secondary keywords. 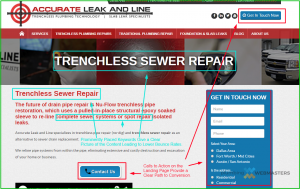 Accurate Leak and Line Displays a search ad with multiple keywords and click-through options along with a clear, well-organized landing page. Consequently, their ad is listed first on the Google Search for their keyword. A Well-Organized Google Ad Has Multiple Keywords and Calls to Action. Creating a Good Landing Page Boosts the Chances of Your Ad Being Placed. One of the main factors of Google ad placement is budget setup including bid style selection. This element of your Google ad can be the deciding factor between whether your ad is shown or whether it’s outranked by another. Knowing your Google budget and ad spend choices can help you make the best budgeting decisions for your plumbing company’s PPC campaign. Your PPC Budget is Balanced Between Keyword Cost and Competition. CPM (Cost Per 1,000 Impressions): These ads are best used for general brand awareness and are distributed on all relative platforms and are charged a flat rate under 1,000 impressions. CPM is perfect for increasing awareness. VCPM (Viewable Cost Per 1,000 Clicks): Like CPM, VCPM ad budgets charge a flat rate per 1,000 views and are used for driving company awareness. CPC (Cost Per Click): The most popular selection, this method charges only for clicks instead of views. CPC budgeting works well with sales and traffic increase goals. CPV (Cost Per View): Used mainly to increase views and website traffic, CPV budgeted ads charge when the video content is viewed. CPA (Cost Per Acquisition): With this budgeting style, your pay for goal completions only. CPA budgeted ads are great for increasing sales and appointments. Your budget style can be adjusted or changed throughout your campaign depending on your company’s specific needs. This may be needed in situations where you want to change your bid structure or keyword list or if you want to make adjustments to your max bid or cap amount. Simply go into your campaign settings in Google Ads to adjust your budget amount, style, or even campaign length to meet your budgetary requirements and advertising goals. Along with Google, there are multiple platforms that offer companies PPC marketing campaign utilization. 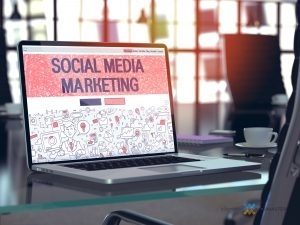 With more than 70 percent of the U.S. population being active on at least one social media platform, social media marketing is crucial for achieving maximum customer reach. Social Media Platforms Offer a Lucrative PPC Marketing Option. These marketing channels provide a constant stream of potential customers along with simple to use campaign set up so your plumbing company can market to a customized, specific audience base for the best results possible. Along with easy-to-use creation avenues, each platform offers analytics tools to measure and adjust your marketing efforts for maximum results. As with Google, PPC marketing campaigns on social platforms utilize keywords and user experience measurements to decide which ads rank best. 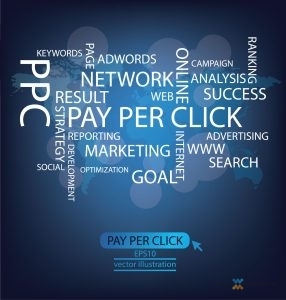 Therefore, proper keyword research and ad planning are imperative for a quality PPC campaign. We’ve all seen the Facebook ads that pop up in our feed and on the right side of our screen. Facebook ads are a comparably inexpensive method of reaching your audience that can generate web traffic, brand awareness, and conversions. Like Google Ads, Facebook offers multiple audience-targeting methods including age, income, location, interest, and more so you can hone your marketing efforts to be as focused or as general of an audience as you wish. 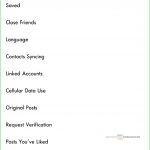 Facebook also offers budgeting options that allow you to set a daily or weekly cap to avoid overspending and prevent underperformance of your ad. However, developing an effective Facebook ad isn’t as easy as it sounds. In order to get the most out of your Facebook advertising efforts, your plumbing ads must have an interesting image, relevant content, and an effective call to action. It must also contain relevant keywords along with a budget and campaign structure that matches the marketing goals you have in mind. As the Most Used Social Platform, Facebook PPC Offer Incredible Result Potential. In order to create an effective Facebook plumber PPC campaign, it’s important to take proper planning steps. First, decide whether your campaign goal is to boost followers, drive traffic to your website, or increase conversions. Your business goal will greatly affect your Facebook ad and budget structure. Once you have decided on the goal of your marketing campaign, you can begin thinking about the topic of your marketing piece. Using your topic, you are able to identify keyword options to use within your marketing content. Remember to include national, local, and service-based keywords for optimal marketing results. Once you have completed the necessary research to learn what your audience is looking for, you can begin creating your post. While not required on the Facebook platform, using visual aids like images and videos can exponentially boost your engagement and share results. However, images and videos must be formatted correctly to be accepted by Facebook and to deliver an ideal user experience. Text should also be well-planned and should include keywords, unique service or promotional information, and a clear call to action. 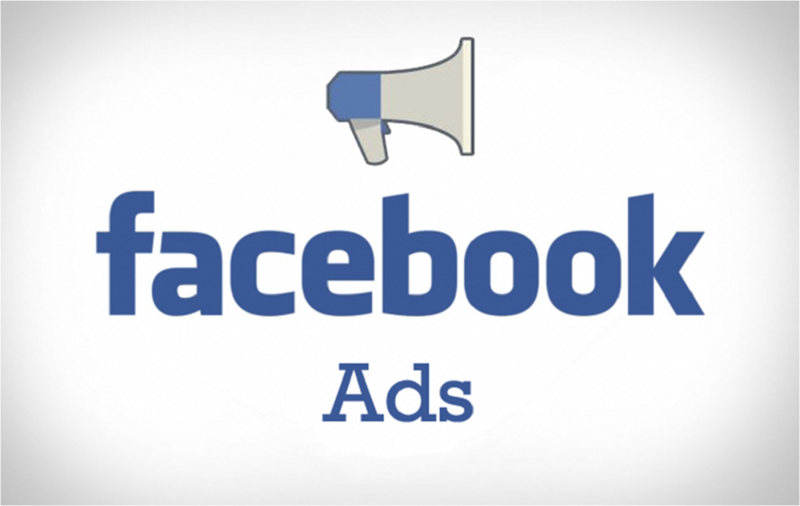 Your ads can appear in multiple locations on the Facebook platform. 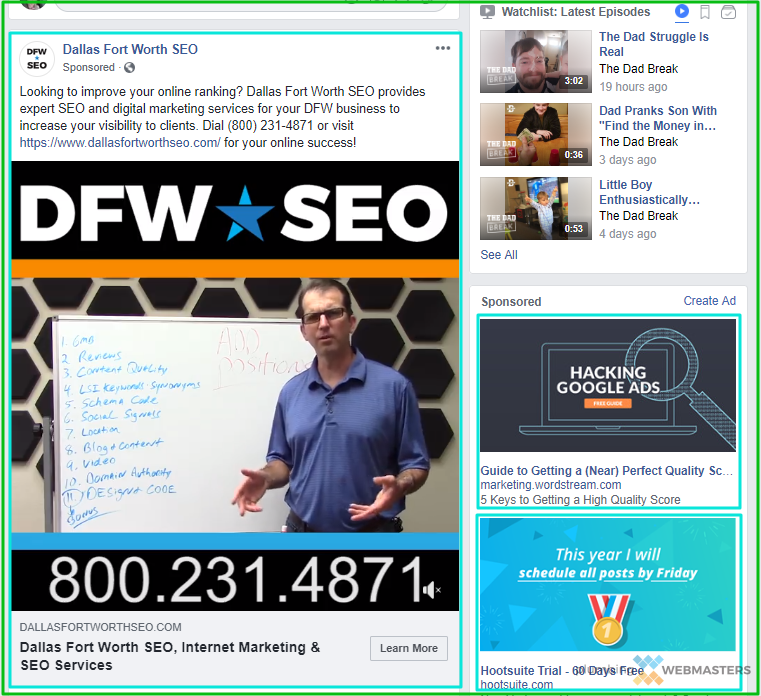 Facebook PPC ads can appear in-feed, meaning they appear in the scrolling feed that viewers see, or they can show on the right side of the screen along with other info and detail snippets. Both placement locations have great click-through potential and can drive traffic to your site or your Facebook page, depending on your goal. Facebook PPC Marketing Offers Multiple Styles and Formats to Reach Your Audience. Once you have your ad created, simply follow the steps provided by Facebook to build your plumbing PPC campaign. You can customize your plumber PPC campaign audience by demographic information such as age and location as well as psychographic details like interests and lifestyle behaviors. This ability promotes more promising results for your ad spend. You can also customize your budget. Choose a budget cap according to a flat rate for the campaign, daily spending limit, and more to ensure you’re getting the most out of every dollar you spend. News Feed Ads are the Most Popular Style on Facebook Mobile. While running your Facebook campaign, be sure to assess and adjust your campaign using the provided analytics tools. These tools provide information like clicks and shares, views, click-throughs, and other engagement metrics so you know exactly how your campaign is performing and can make proper adjustments. The metrics provided by Facebook are up-to-date and accurate so you can identify details such as the most responsive times and days of the week, what types of content work best with your audience, and even where your audience is located. Knowing these facts can give you the tools you need to maximize your customer base and your company’s PPC marketing ROI. 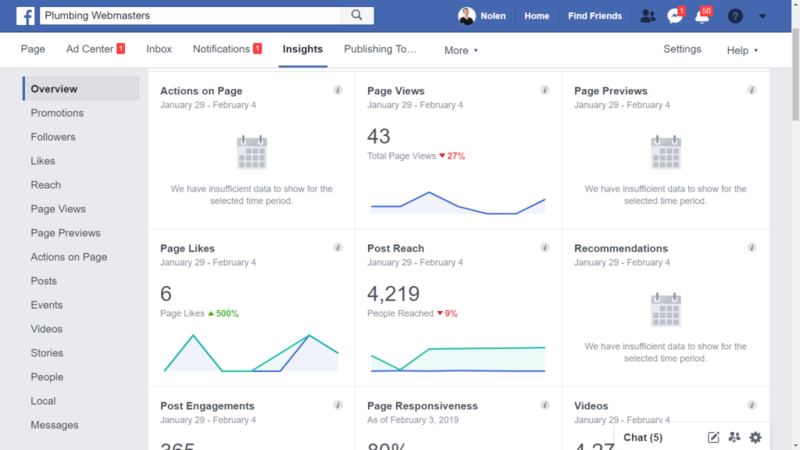 Facebook Analytics Tools Offers an In-Depth Look at Your PPC Endeavors. As with Facebook, Instagram offers business PPC campaign creation and implementation that can boost your customer base and web traffic. Instagram provides an ideal channel for video and image display that highlights your company’s skills and workmanship along with promotion-awareness and company image. 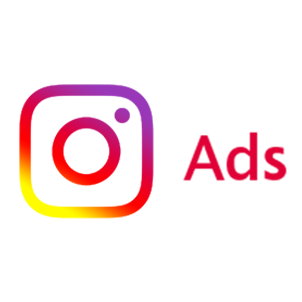 The platform also delivers accurate and up-to-date analytics tools that can help you maximize your Instagram advertising efforts. When creating your Instagram account, keep your business in mind. Use a business email address to create your account and create a username that reflects your company. When selecting a profile image, use an image that encompasses your business ideals such as a logo. Use the bio section to provide a general view of your company using service terms and keywords. 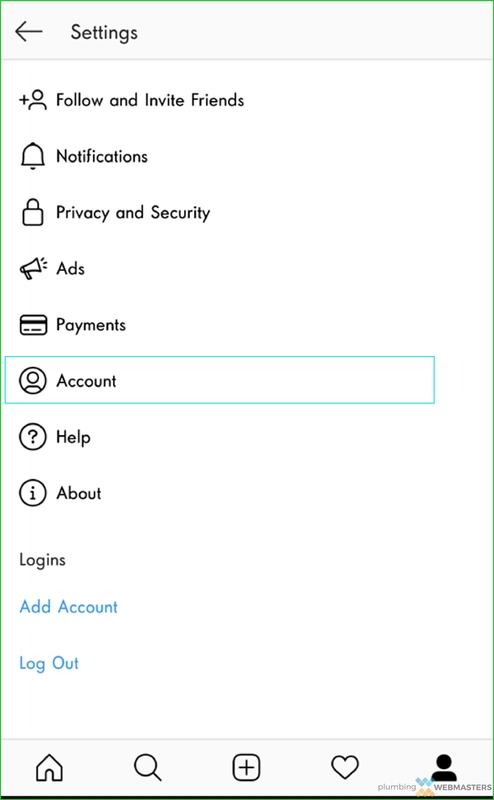 Once your account is created, you can choose the “Switch to Business Account” option from the menu to begin using the PPC campaign platform. 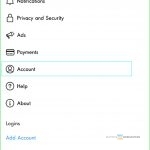 From Your Account Page, Click the Menu Option and Press Settings. 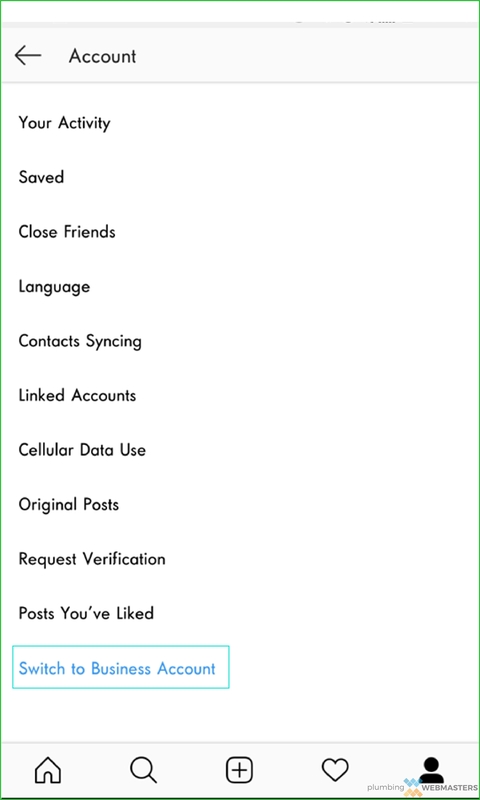 From the Settings Menu, Select Account. 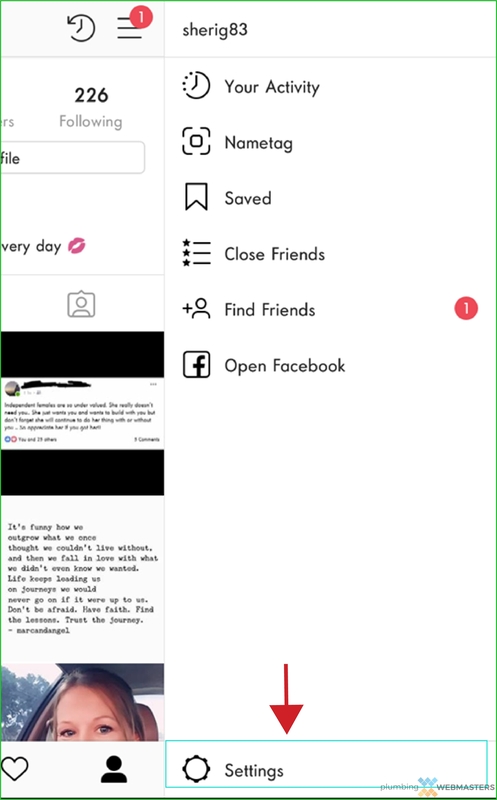 From Your Account Menu, Press Switch to Business Account. App Installation: This campaign option directs viewers to download your app on the appropriate app store. Brand Awareness: By implementing this goal, you can help generate more awareness of your company using a more general audience base. Conversions: Increase conversions on your site by using this marketing goal to direct viewers to a landing page. Engagements: Maximize engagements with your post and your account by selecting this marketing goal. Lead Generation: With this campaign goal, you can create marketing that directs your audience to provide lead information like name, phone number, and email address. Reach: Use the reach goal to expand and maximize your reach by displaying your ad to a more general audience. Traffic: Increase traffic to your site by selecting a traffic goal which directs viewers to a landing page on your site. Once you have decided on a PPC campaign goal, you can select your content and viewing audience. In order for your plumber PPC marketing to be effective on Instagram, ensure that your media is properly optimized for efficient viewing. Proper image and video formatting is crucial for your audience to receive the intended experience, and should be completed before uploading to your marketing campaign. These formatting requirements ensure that your content can be viewed properly, no matter what type of device your audience is using. Properly Formatting Your Images Allows for Optimal Ad Display. Engagement: This metric tells you how many viewers responded to your marketing in some way, whether it’s liking, commenting on, your clicking on your post. Follower Growth: Find out exactly how much your follower base has increased to learn how well your plumber PPC marketing campaign is doing. Impressions: Learn the total of viewers that your PPC marketing reached to learn whether your audience needs adjusting. Reach: Find out how many unique viewers saw your ad to get an idea of how your viewer base is growing. Although Google, Facebook, and Instagram are the most popular options for PPC marketing, YouTube, Twitter, and other social platforms can also be used for PPC marketing efforts. In fact, YouTube is one of the most used platforms today and can provide a video viewer base that is unrivaled by any other platform. However, like with other social platforms, YouTube requires specific formatting for optimal viewing. It also requires extensive keyword research to ensure optimal results throughout the campaign. You can choose to display your ad before other videos or as a right-side ad during videos so you can reach your audience exactly how you prefer. Twitter and Snapchat also offer PPC marketing avenues that can help increase awareness, build your customer base, and maximize traffic to your website. While each platform has individual nuances, goal setup, audience selection, and analytics tools are similar and provide specific options and choices that help you identify the ideal viewer for your content. Consider Where You Want Your Ad Placed for Optimal Formatting. Each Platform Requires Correct Formatting for Display. Audience Targeting: Easily target recent visitors and viewers for better, more focused results. Improved Brand Recallability: By remarketing to previous viewers, chances of audience recognition are increased exponentially. Ad Relevance Improvement: Find out exactly what your audience is looking for and deliver more focused marketing for a better response. Flexible Budget Options: Just like with other PPC marketing, a PPC remarketing budget is flexible and adjustable for the ultimate ROI. Remarketing Redelivers Your Message to Previous Viewers for a More Promising Response. Google provides remarketing campaign setup that makes creating a PPC remarketing campaign simple and quick. 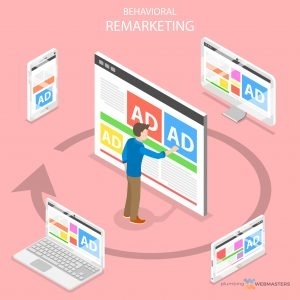 Through Google remarketing, you can quickly see which groups respond best to your marketing so you can customize your remarketing efforts to be delivered to your most promising viewers. Through Facebook and Instagram, your remarketing PPC campaigns are created through pixel tracking. This method uses a code that is embedded onto your website to track viewer response on landing pages as well as goal completion so you can see exactly who your most promising viewers are. Then, you can create remarketing plumber PPC campaigns that target these audiences for maximum response and engagement. There is much dispute about whether organic marketing or PPC marketing is the better choice for reaching a bigger audience. However, there are multiple benefits to each style that makes both crucial for a well-rounded campaign effort. Organic SEO strategies offer unbeatable results in Google searches as well as on other platforms. However, plumber PPC campaigns can provide extended reach to focused audiences for increased response. In the end, both avenues provide outstanding marketing and lead generation capabilities. Both Plumber SEO and Plumber PPC Marketing Have Benefits and Are Most Effective When Used Together. Organic SEO marketing uses keywords and content to appear in organic SERPs throughout the internet including Google Search, Google Maps, Bing, Yahoo, and more. This method of marketing utilizes coding and presentation as well as content and linking to establish a rapport among search engines which results in top rankings and listings. Organic marketing for your plumbing business provides benefits like affordability, complete control and adjustment capabilities, and a spot on the top method of finding services. Because these strategies are organic, budgeting requirements are minimal. Along with affordability, SEO methods have comprehensive and accurate analytics tools that provide information on details like user engagement, click through rates and even platform where the viewer originated. PPC marketing uses paid methods to communicate your message on social platforms as well as Google Search, Google Maps, Gmail, and more. While these marketing strategies are more expensive, they are completely trackable and revisable for complete control of your marketing. These methods are also more easily seen and can provide an ideal supplement for websites that have yet to index for proper optimization, new businesses, and even established businesses that are looking to expand their customer base. Like organic SEO tactics, PPC marketing comes with an extensive array of analytics tools that can be used for audience and budget adjustments as well as remarketing new marketing efforts. While organic SEO tactics provide affordable ongoing searchability and engagement for your site, it can be difficult to outrank your competition, especially when considering older, more established sites. Google has structured a multitude of algorithms that use bot crawlers to index and identify the content of your website, judging search relevance, content quality and more. Because of the extensive and sometimes unknown requirements of Google, organic appearances may be difficult to achieve, especially in highly populated areas. These results are even more difficult to keep and require consistent website attention and adjustment in order to keep indexing well for search results. 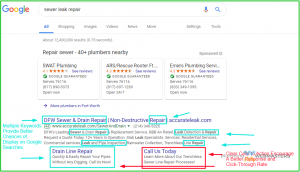 Although plumber PPC marketing for your company offers a great way to expand your reach and customer base, an effective PPC campaign requires extensive attention and budgeting. These campaigns need regular adjustments including run-times, bid amounts, and audience parameters in order to continue being successful. Bidding can also be difficult and requires a balance of keyword strength and bidding amount in order to provide results. Goal Creation: Our experts provide guidance and advice on the most productive goals for your plumbing company. 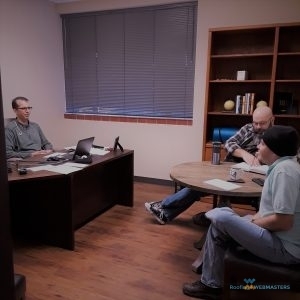 Keyword Research and Implementation: The Plumbing Webmasters professionals will perform extensive keyword research to develop a comprehensive keyword list to implement in your PPC marketing. Keyword Bidding Structures: Get expert help with your keyword bidding strategy to ensure you get the most bang for your buck. Ad Creation: No campaign is successful without the right ad. We can help create the ideal ad for your marketing campaign. Landing Page Creation and Optimization: Ensure that your campaign is performing at its best by ensuring that your landing page delivers a great user experience through the help of our team. 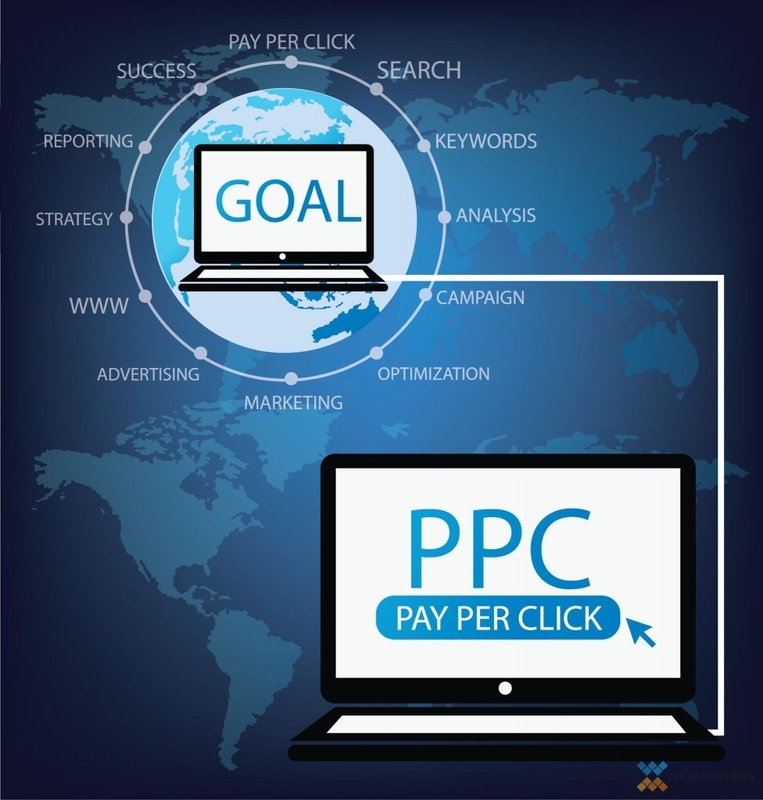 PPC Campaign Monitoring and Adjustment: Our experts provide continuous monitoring and adjustment of your plumber PPC campaign to ensure it’s always performing well. PPC Budget Management: With the help of our professional PPC marketing team, you can rest assured that your PPC budget never gets out of hand. We monitor and adjust your budget as needed for optimal performance. PPC Marketing Analytics and Performance Tracking and Reporting: Unlike other marketing channels, PPC marketing efforts provide results that are easily assessed. Our professionals keep you updated on the performance of your PPC campaign as well as the expected results. Our Experts Work to Assess and Refine Your Current Plumber PPC Strategy for Improved Results. Whether your plumbing company is large or small, rurally or metro located, brand new or well-established, it can benefit from the use of plumber PPC marketing campaigns. These easy to track and adjust campaigns offer extreme customizability, revisability, and adjustability so you always get the most out of every advertising dollar. Call our experts at (877) 388-9884 to learn more about your plumber PPC marketing campaign options and which routes may be best suited for your company. 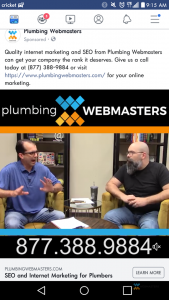 The Plumbing Webmasters experts are here to help you make the best marketing decisions for your plumbing company to gain you better ROI and extended reach in your market.